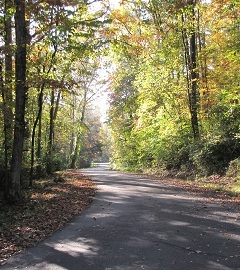 If you would like to retire in a small town with a community-oriented atmosphere, tree-lined sidewalks and almost within walking distance of one of the best trout streams to be found anywhere, you just might want to pay a visit to Norris, Tennessee, a unique garden-like village resting within the shadows of the Great Smokies and Cumberland Mountains in the lake country of East Tennessee. Surprisingly, Norris is less than thirty minutes from downtown Knoxville, a booming metropolitan area with great hospitals and health-care facilities, a major university, superb restaurants and shops and a wide assortment of cultural activities ranging from an opera company and symphony orchestra to regular stage performances at a variety of venues. Situated just two miles from I-75, access to Norris is both quick and attractive, with a four-lane approach lined with green fields and split rail fences. 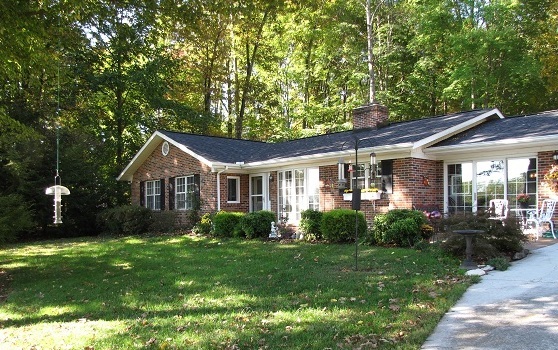 Built in the 1930's to house workers for TVA's Norris Dam, Norris was designed as a true master-planned community with a network of small, bungalow-style homes connected by a network of winding streets, walking and hiking paths and sidewalks. Spacious, open green spaces were left for public commons and school sites. 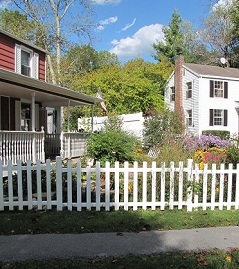 The majority of the original homes, while small and unassuming, have been preserved and carefully maintained or renovated. And although there has been a number of new homes built in recent years, one still finds an absence of urban sprawl and vehicular traffic. 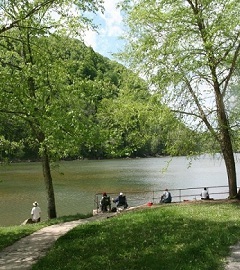 In fact, this enclave of less than 1,500 residents can boast miles of hiking and bike trails, a 2,500 acre protected woodlands owned by the City and a river with some of the best trout fishing in the Eastern U.S. While the town has no large-scale commercial activity, the historic, quaint Town Center has a grocery, bank, restaurant and post office, all within walking distance of most homes. According to Loy Johnson, a local real estate agent, many of her clients have been retirees, first drawn to the area while vacationing on nearby Norris Lake, a 34,000 acre water paradise. Often, they return and purchase retirement homes, taking advantage of the lower housing costs and property taxes, as well as the favorable state taxes. Today, Norris is a vibrant and active mix of young families, working professionals and active retirees. Norris is home to an impressive number of artists, crafts people, as evidenced by the presence of the Appalachian Craft Center, a regional hub offering classes, exhibits and a sales gallery. 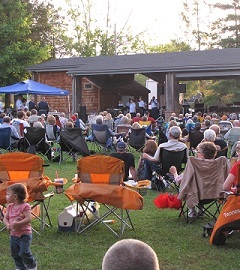 Each summer the City sponsors a series of weekly outdoor concerts on the Town Commons, and the Norris Little Theatre presents several performances throughout the year. The Details: Situated in a park-like setting, complete living quarters, perfect for in-laws residence, impeccably maintained. Extra Points: Beautiful grounds, two fireplaces, breakfast nook, luxurious master suite opens onto deck, screened porch, well-equipped kitchen with marble countertops.